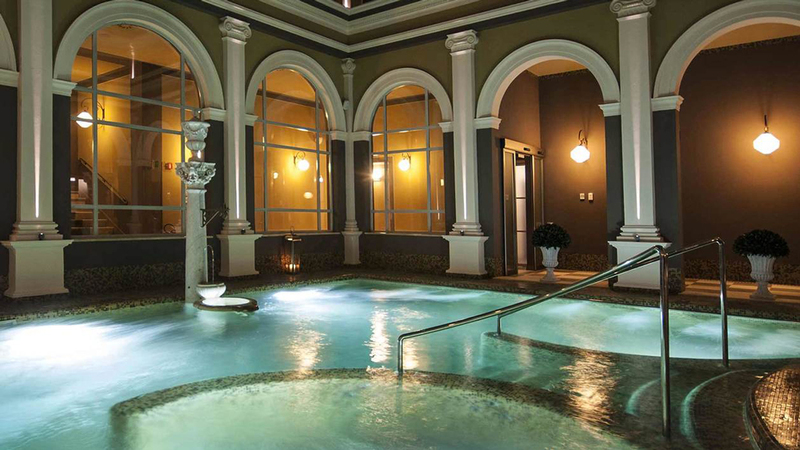 Spas have been popular in Italy since the ancients settled affairs of state in toga-optional grottos and ‘took the waters’ in natural hot springs. It’s a tradition that is very much alive today, with many still frequenting those geothermal pools in regions like Tuscany, where luxe wellness hotels like Adler Thermae Spa & Relax Resort tap into the same curative agua sana that once revitalised the Etruscans and Romans. Now, as then, aquae anima vivens. Water is life. Bagni di Pisa Originally built in 1743 as a place for Francesco Stefano of Lorena, the Grand Duke of Tuscany to catch up on some R&R, the exquisite Bagni di Pisa spa hotel on the outskirts of Pisa has hosted royalty, dignitaries, and celebrities for centuries. Today, it is still full of 18th-century charm, with preserved frescoed ceilings, extravagant furnishings, and expertly manicured floral gardens—where we’d recommend heading for a zenned-out post-treatment stroll. Its long history as a spa retreat is put to good use with treatments like the Bioaquam Thermal Circuit that mix technology (think hydro-massages specifically designed for sculpting and drainage) and tradition (think fully-restored original thermal pools). Or, you can opt to unwind like the ancients would have done by sweating out toxins in the property’s recently re-discovered 700-year-old Cave of Grand Dukes. Belmond Castello di Casole Constructed in 998, this former castle has been fully restored and transformed into an impressive spa hotel and residences in the rolling Tuscan countryside near Siena. 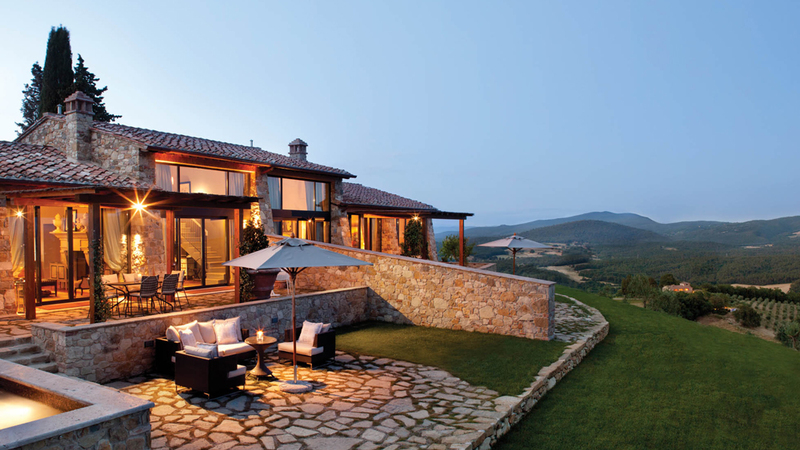 Set in a former wine cellar with vaulted ceilings, restored stone walls, and expansive valley views, Belmond Castello di Casole’s Essere Spa offers an extensive menu of treatments and rituals inspired by local ingredients such as rosemary, olive oil, and honey—which are used in treatments ranging from the Sweet as Honey anti-ageing facial to the Divine Etruscan four-hand massage. Treatments putting premium beauty products by luxury brands like Carita and ILA to work are also available. Grand Hotel Tremezzo Located in the heart of Lake Como with unparalleled views of Bellagio and the stunning Grigne mountains, this authentic Art Nouveau landmark dates back to the early 1900s. 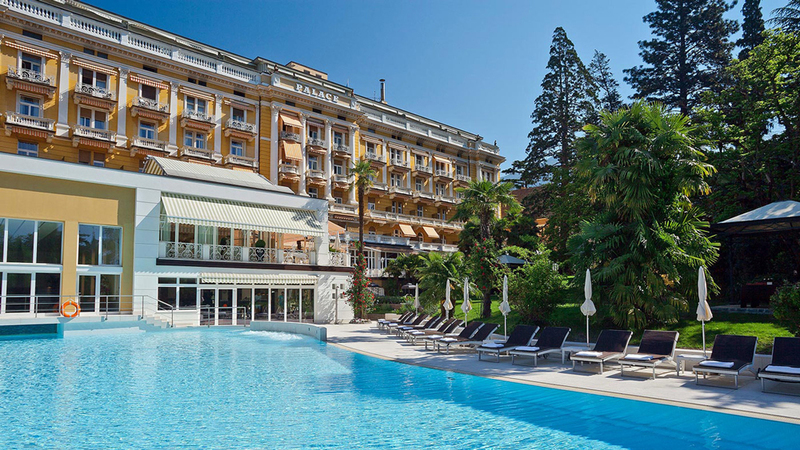 Situated next to the Villa Carlotta’s famous gardens, the Grand Hotel Tremezzo offers in-house gourmet Italian dining and year-round indoor and outdoor swimming pools (a rare luxury in what is often considered a seasonal destination). 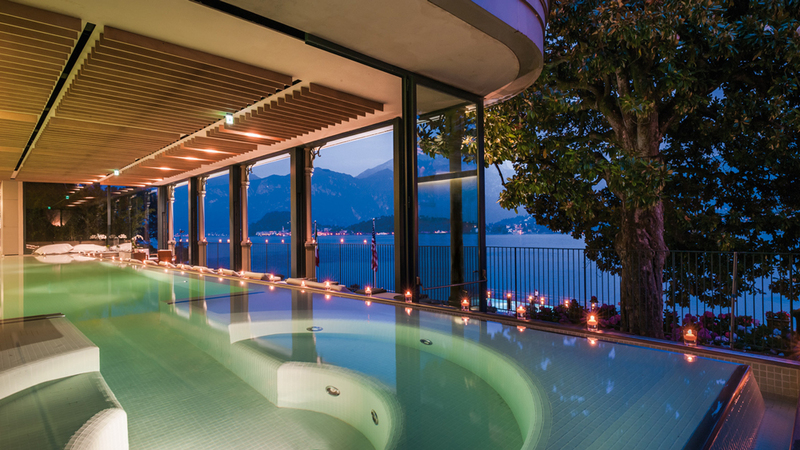 In as a remedy to all of the aristocratic indulgences of Lake Como, its luxurious T Spa specialises in anti-stress and rebalancing treatments, all custom-designed in partnership with the experts at ESPA. Treatment rooms include a couple’s Spa Suite, a hammam suite, multiple saunas, and a steam bath. There is also a salt relaxation room and whirlpool, where guests are encouraged to unwind after treatments. Four Seasons Hotel Firenze Offering a combination of Old World luxury and lush modern amenities, Florence’s most luxurious spa retreat is the Four Seasons Hotel Firenze. Although it is just a 20-minute walk from the Duomo di Firenze and Uffizi Galleries, the property, which is housed in a Renaissance-era Palazzo set on eleven acres of gardens overlooking the Giardino Della Gherardesca, feels like a sanctuary in the heart of Tuscany’s most famous city. 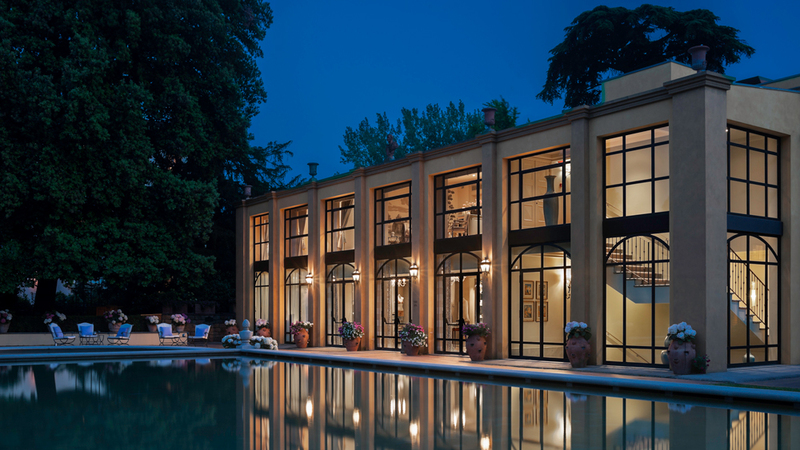 The hotel’s opulent spa, housed in modern, low-slung building on the property, stocks products from the Officina Profumo Farmaceutica di Santa Maria Novella, oldest pharmacy in Florence, and many of the treatments in its ten luxurious spa rooms come complete with a tasting of fine Chianti. Palace Hotel Merano The Palace Hotel Merano in South Tyrol is as famous for its opulent interiors (the space was once home to one of the region’s grandest castles) as it is for its cutting-edge health and beauty treatments. Both are based on resident French biologist Henri Chenot’s fascination with the application of biontology—the science of understanding and slowing ageing through the lens of lifestyle, genetics, and environment. Legions of medical staff are on-hand to administer all manner of anti-ageing, extreme weight loss, and detox programs at the Palace Merano Espace Henri Chenot wellness center, while the spa offers hydro-aromatherapy, phyto-mud therapy, Turkish herbal baths, cupping massages, lymphatic drainage and more. And though guests are given only minuscule portions of carefully selected food served at each meal, we promise they provide just enough energy to truly enjoy this most healing of holiday retreats.